Gitex technology Week is the largest regional IT exhibition for latest innovations and trends from all over the world. 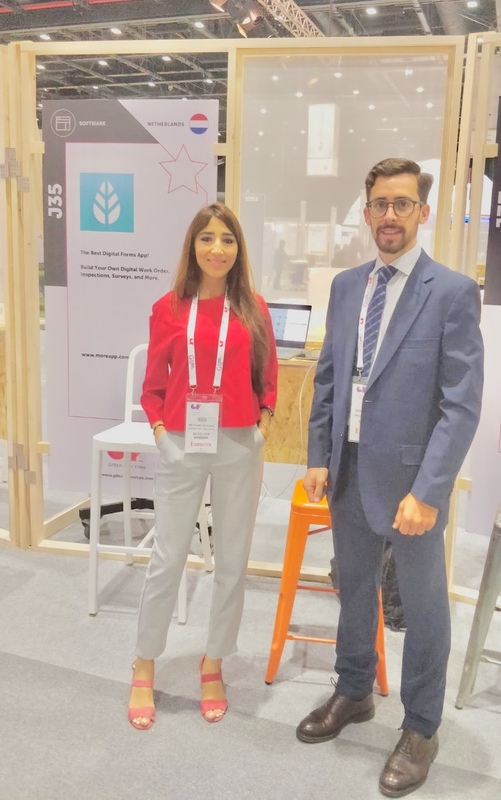 This year, Gitex brought together the most innovative, exciting & ambitious tech startups such as MoreApp to showcase their world-changing ideas to an audience of international investors. The MoreApp team, composed of Arnau Abadal (Product Genius) and Meriam Akhsas (Marketing Executive), had the opportunity to learn from the latests solutions around robotics, cloud, blockchain and other trends across the world, create vital connections with investors, industry experts, and senior decision makers and inform attendees about the solution MoreApp offers. Arnau and Meriam at the MoreApp stand during the Exhibition. 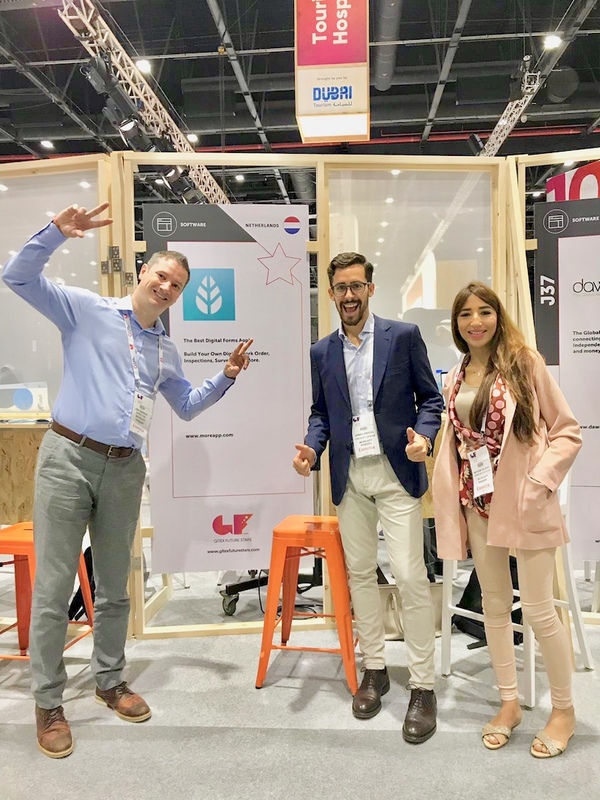 The director of MoreApp, Jan Bakker, was very happy to represent MoreApp in Dubai. Thanks Gitex, see you next year!